BAE System’s MAGMA differs from its competitors in one huge way. It has no control surfaces. 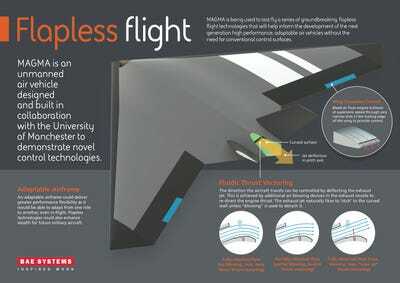 The drone will have stealth capabilities and use two newly developed systems to navigate in the air. At first glance, the MAGMA doesn’t appear to be that different from other “flying wing” aircraft. It looks somewhat similar to Lockheed Martin’s RQ-170 Sentinel or Northrop Grumman’s X-47B. Yet the MAGMA differs from its competitors in one huge way: It has no control surfaces. There are no ailerons, no flaps, and no tails. Not a single thing on this aircraft will physically bend if its pilot tells it to. Instead, the drone, which will have stealth capabilities, will use two newly developed systems to navigate in the air; wing circulation control (WCC) and fluidic thrust vectoring (FTV). WCC siphons air going through the jet engine and blows it at supersonic speeds over the back of the wing, generating lift and eliminating the need for mechanically movable surfaces to direct airflow. Meanwhile, FTV uses jets of air to change the direction of the engines exhaust which allows direction change. BAE is pursuing the project in collaboration with the University of Manchester. They announced the first successful flight trail on December 13. The technology could prove revolutionary. Without extra moving parts, aircraft – both civilian and military – would be less complicated, requiring less maintenance and having a longer service life. Moreover they would also be lighter, and potentially more manoeuvrable. 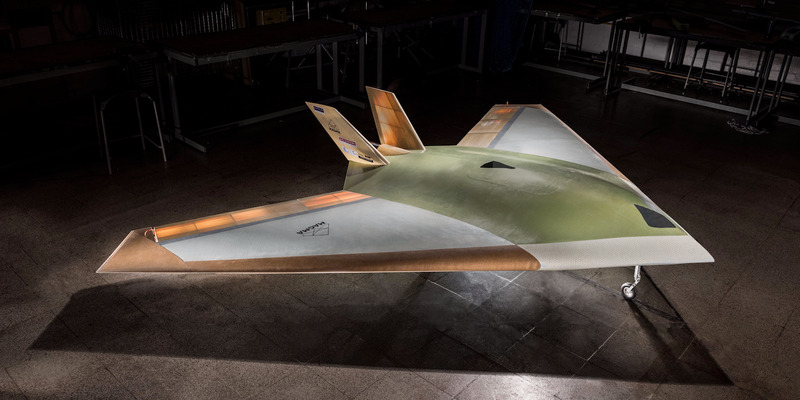 “These trials are an important step forward in our efforts to explore adaptable airframes,” Bill Crowther, a senior academic and leader of the MAGMA project from the University of Manchester, said in a press release. BAE said that additional technologies and assistance are being explored in collaboration with the University of Arizona and NATO Science and Technology Organisation.